It was at the end of the training season for the Little Rock half-marathon that I remember going to a pre-race dinner. I was pulling up to the hotel to pick up college friends who were in town for the race. As one friend proceeds to get into the car, she noticed the radio station on the Christian station and commented “April-you still listening to your church music!” I chuckled, not having realized that I indeed was still listening to the same type of music that I listened to while in college. Yes, even in all my mess I still had enough spiritual sense to feed my heart those melodies, psalms, and spiritual songs. In my mind it took me back to those long, hard days when I would come back to my dorm and turn the music on and everything would be better because the presence of God was in those songs! That night after dinner I couldn’t help but think about her comment and reminisce on those days and how those “church” songs encouraged me, spoke to me, and helped me get through tough semesters. The very thought takes me back even now to the point when the seed of worship and adoration was placed on the inside of me. I recollect the days of my mother making my little sister and I stand in front of her to sing. I remember the look of my face and how totally disinterested I was because I would have much rather been playing make-believe with my dolls. Then there was the season of my life when my grandmother would not give us a choice and my only option to serve was singing in the choir. I would always wake up on Saturdays so desperately wanting to be normal and just watch the line-up of Saturday cartoons. As I grew older I told her I would rather not sing anymore and she told me I could make that choice when I turned 12. On my 12th birthday I remembered, and I chose cartoons. Or what about the season I embarked upon my college journey and how I thought joining the University of Arkansas Inspirational Singers was just an easy A+ on my transcript. How surprised I was when the class time would come to a halt for intense meditation and quiet reflection on the goodness of Jesus. Yes, I received college credit to worship God! It blew me away as well and now I shiver at the how most of my lifetime I have abused grace and took those days for granted. Worship has been a seed planted in me since I was a little girl. Over the years it has become less about singing as it has become a lifestyle. It is more than just a song, or a perfect melody but a change of heart. It is the mere essence of why I exist. I was made to worship God in my everyday living. When God created Adam and Eve and placed them in the garden, He created them to worship Him. They had a God-sized hole that only He could fill. God disciplined them in worship by meeting with them in the cool of the day, and it was then that their immense emptiness was filled with His presence. Their spirits were complete with Him and Him alone. If you ask any Christian what worship means to them, you would most likely get a plethora of definitions. To me, worship means walking in spirit and in truth. (John 4: 23). We worship God in spirit and in truth because no flesh will glory in His sight (1 Cor. 1: 29). Therefore a relationship WITH God is critical in our worship TO God. Worship combined with consistent prayer and Bible study is necessary for any believer to walk and worship in the Spirit. It is an attitude that is on display in a Christian whether they are in church or the local Wal-Mart. The physical location is not as important as the spiritual location of the believers’ heart in their display of worship. My passion is worship and the purpose for my passion is to creatively and artistically express my love for my Creator. My body is a temple of the Holy Spirit and I must be very careful to only entertain those expressions that bring Him glory. A lifestyle of worship is a creative pathway that I have returned to as I walk out my journey with the Creator of the universe. He has placed deep desires within me to express my love for Him. As I seek Him, He writes songs and melodies on my heart and I cry out to Him from the depths of my soul to fill the void that He placed within me. I embrace the fact that only He can fill what He created. April McCullough is a former Registered Respiratory Therapist. She currently lives with her husband and three children in North Little Rock, AR. In her spare time, she enjoys teaching, reading, and running. 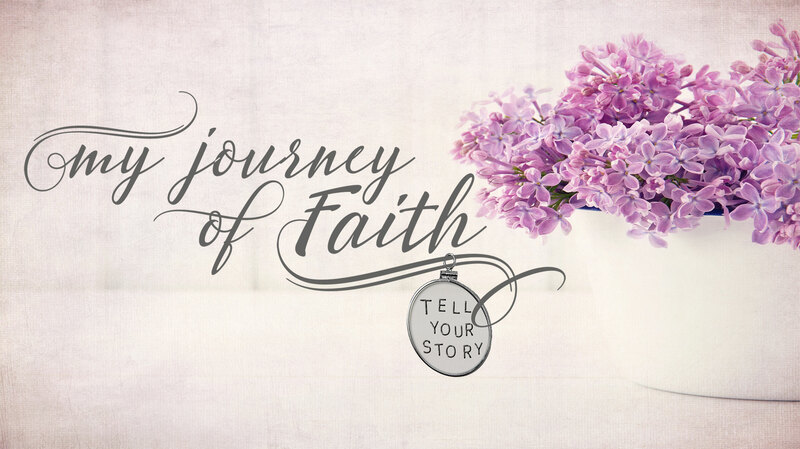 April is the My Journey of Faith Magazine Editor. Her desire is to inspire, encourage and motivate people to use their talents and abilities to impact the kingdom of God on Earth.